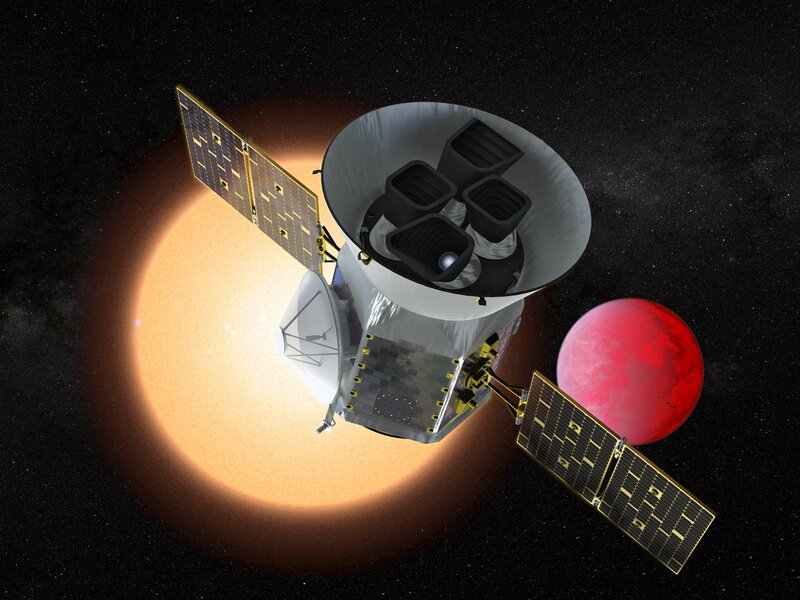 Astronomers on the team for NASA’s Transiting Exoplanet Survey Satellite mission, or TESS, are reporting their first potential planet discoveries, just days after the spacecraft’s first science image was unveiled. The first reported candidate planet was detected orbiting a star known as Pi Mensae, a sunlike yellow dwarf star nearly 60 light-years from Earth that was already known to harbor a world that’s more than 10 times as massive as Jupiter. The newly detected prospect is closer to its parent star in the southern constellation Mensa, making a complete orbit every 6.3 Earth days. In a paper published on the ArXiv pre-print website and submitted to the journal Astronomy & Astrophysics, the team’s scientists say Pi Mensae c appears to be about twice as wide as Earth and 4.5 times as massive. Its density is estimated as roughly equal to water’s density, which suggests the planet is a super-Earth that “may have held on to a significant atmosphere,” the scientists say. The second candidate planet orbits a red dwarf star known as LHS 3844, 49 light-years away in the constellation Indus. LHS 3844 b is thought to be a “hot Earth,” with a diameter about a third wider than Earth’s. It swings around its sun every 11 hours. This entry was posted in GeekWire and tagged Exoplanets, planets, Space, TESS. Bookmark the permalink.